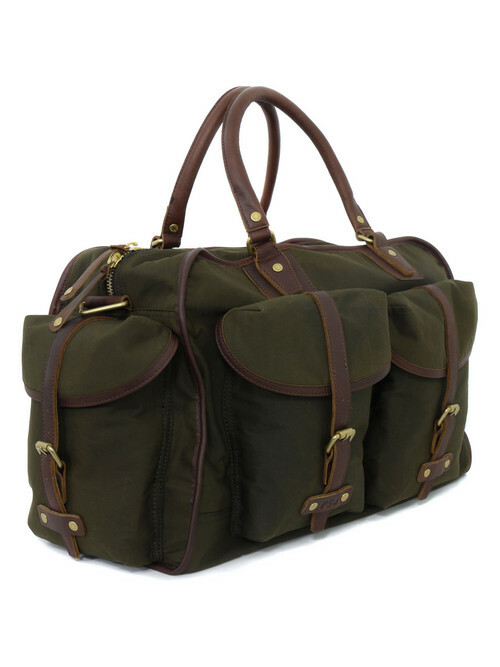 Travel down the street or up to the Hamptons in style with this Paul Smith â€˜Jakeâ€™ khaki bag. Made from cotton and featuring leather trim and handles, thereâ€™s enough pockets and main compartment space for whatever you need to tote around. Get yours online from Coggles.